Al Ahram Beverages Company was established 110 years ago. The story began in 1897 when the Crown Brewery Company (ABC’s oldest forerunner) registered itself in the kingdom of Belgium to start operation in Alexandria. Later in 1946, the company entered into a technical-assistance agreement with the leading Dutch brewer Heineken. However, in 1963 the company was nationalized and was run by the government for the past 50 years. 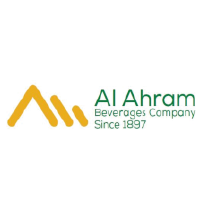 After more than 22 years, the company finally changed its name into Al Ahram Beverages Company. In 1997 an Egyptian entrepreneur bought it during the era of privatization. Finally in 2002, the company commitment to development led to the acquisition of ABC by Heineken group, yet it remained for 3 years under the management of the previous owner. In January 2006, the company went through a complete change in all its domains and activities. The company is now under the management of a national and multinational team. ABC commitment to growth has a positive impact on all directions and aspects from policy and procedures to benefits portfolio, talent pool, development programs and career progression. ABC’s aim is to become a true an exemplary multinational company that is truly an employer of choice.